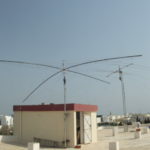 The „Association des Radio Amateurs Tunisiens – ARAT“, created back in 2011 after the Jasmin Revolution, has demonstrated a satisfactory level of serving Tunisian radio amateurs and promoting the hobby in Tunisia (See our website: https://www.arat.tn/ or our Facebook Page: https://www.facebook.com/arat.tunisia/). The work that has been done so far was mainly funded by ARAT members (average age 22 years old) and other organizations like YASME (YOTA Activity) or IARU-R1/STARS (ARDF Equipment).Contrarily to other countries in the region, ARAT is not receiving ANY financial support from the government especially in these hard times of very bad economy.ARAT has a cooperation agreement with the Scout Organization which allows access to thousands of young scouts and provide a good terrain for developing our hobby. Right now, the licenses of the Scout clubs haven’t been paid for 10 years putting the clubs at serious risk of closure and 3V not being on the air for an unknown period. Amateur Radio is a very small part of Tunisian Scouts activities which is already having financial difficulties. Last year, the Ministry of Telecommunication asked us to pass all our equipment to a conformity test. This won’t also be possible without raising funds. ARAT is now kindly asking all those who want to support us, to make a donation to fund license payments (A total of 2 kEuro, 9 stations) and the conformity test of our equipment (about 1 kEuro, 100 Euro per TRX, once in life). Any other remaining monies will help financing ARAT activities such as maintaining clubs equipment, antenna experimentation, electronic kits building, lectures in universities, etc. ARAT is committed to provide those who donated with a detailed financial report of where the money went including all back-up documents as we always did with YASME. ARAT is also committed to respond to any query in this regards in full transparency. Donations should go to the Paypal account of our QSL Manager LX1NO (lx1no@yahoo.com) to avoid big tax cuts if sent directly to Tunisia. Those who do not have a Paypal account, may send an email to Norby LX1NO to inquire for his bank account.